The following pair of pleasing picture books, The Three Little Pigs and The Little Red Fort feature updated and revitalized tales with fresh characters and wonderful word choices in two debut stories sure to delight young readers. 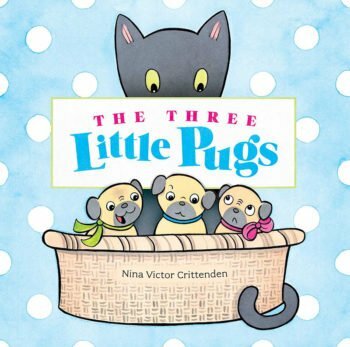 Pugs replace pigs in Crittenden’s humorous THE THREE LITTLE PUGS, while the huffing-puffing wolf becomes a snoozy-sleepy cat who takes over the pugs’ cozy bed. Playing off the traditional story’s theme to build with straw, sticks or bricks, the pugs employ familiar household substitutes. Drinking straws, drumsticks and snaplock toy bricks don’t help the pups oust the cat from their wicker bed basket. How can the pug trio broker a lasting peace with the snoozing intruder? Crittenden’s light, bright illustrations are perfectly suited to the short, sweet text full of rhyme and repetition. There is plenty of action from the busy and resourceful pups to keep the pages turning quickly. While this pug-a-licious tale could convince a few toddlers to embrace their nap schedules, the twist ending also lends itself as a fresh bedtime story selection perfect for a cuddle and a snuggle, pug-style. 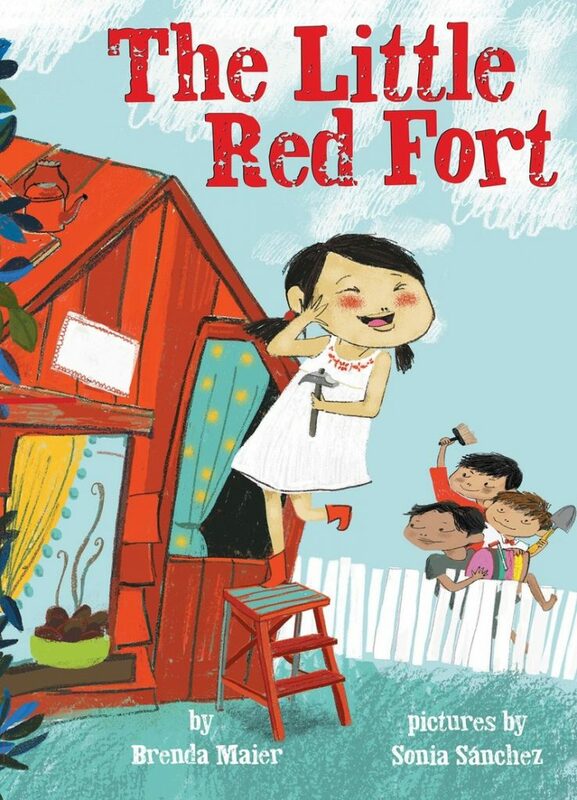 The Little Red Hen becomes an able, ambitious little sister in Maier’s THE LITTLE RED FORT. Young Ruby wants to build a backyard fort, but her brothers refuse to help. 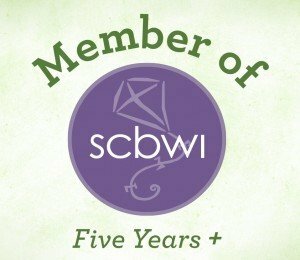 When they say “You don’t know how to build anything,” Ruby shrugs and responds “Then I’ll learn.” She forges ahead with drafting plans, gathering supplies and cutting boards. Along the way she is skillfully assisted by the adults in the family (parents and a grandmother!) Once the fort is finished, Ruby is satisfied with some peaceful solo playtime until her brothers express an interest in her awesome project. Will they find a way to make it up to Ruby after scorning her efforts? The clever twist ending is modern, engaging and satisfying for all. Sánchez puts bold colors and loose, sketchy lines to vibrant use, portraying pig-tailed Ruby with determination and enthusiasm. The large, textured images are well-matched to Maier’s subtle patterned prose, echoing the traditional text in format and expanding the storyline to contemporary sensibilities. 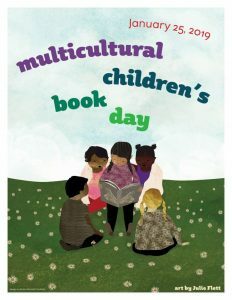 Determination, cooperation and creativity are powerful themes woven into the story with care while simple childhood fun and warm family life will be foremost in readers’ minds. Where obtained: I reviewed advanced reader’s copies from the publishers and received no other compensation. The opinions expressed here are my own. 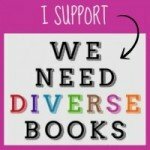 next post: Judy Moody is Back and Better Than Ever 13 Books Giveaway!